MIXED BREEDS Why we love them so much! INTERACTIVE CAT TOYS for some feline fun for your cat INSIDE LIONS FOUNDATION OF CANADA DOG GUIDES p. 6 Your Pet.Your Life.Your Store. 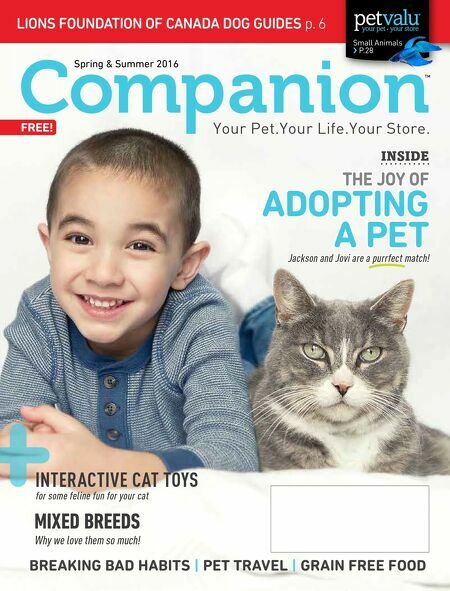 TM ® Small Animals › P.28 BREAKING BAD HABITS | PET TRAVEL | GRAIN FREE FOOD + INTERACTIVE CAT TOYS + INTERACTIVE CAT TOYS THE JOY OF ADOPTING A PET Spring & Summer 2016 FREE! Jackson and Jovi are a purrfect match!